Rather than have you go through piles of hotel themes yourself, we've compiled a compact list of the best designs on the market. These are all professional and to-the-point WordPress themes for hotel businesses, resorts, travel agencies, and any of you working in similar hospitality fields. Travel and hospitality are amongst the top fastest growing sectors in the world right now. It’s expected that online hotel bookings are going to reach over 200M users in 2018. And the estimated revenue is somewhere between $600-800 billion US dollars. That’s a clear indication that your hotel business cannot afford to ignore the digital realm. Most businesses in the hospitality sector are going to face two choices when it comes to website building. The first choice is to hire a third-party agency to create a custom website for you. This could cost you anywhere from $25,000 to $100,000 easily. Development agencies aren’t stupid and realize that big brands carry a lot of investment potential. As a result, the prices skyrocket to unprecedented levels. However, a custom website can have its upsides in terms of maintenance and management needs. Your second choice is to use a platform like WordPress. A well-established content management system, used by tens of thousands of hotel businesses across the globe. And the best part, your website costs are going to range between $100 to $1000 all things said and done. Needless to say, modern hotel themes are truly adaptive and deliver smooth experiences for both hotel promotion and guest bookings. Rather than have you go through piles of hotel themes yourself, we’ve compiled a compact list of the best designs on the market. These are all professional and to-the-point WordPress themes for hotel businesses, resorts, travel agencies, and any of you working in similar hospitality fields. With each theme being hand-picked and tested for optimal performance — we know you’re just moments away from finding your hotel business a new style. Hotello is our flagship hotel business theme created by yours truly. Through extensive research and analysis, we believe that we’ve managed to craft arguably the best WordPress hotel theme there is. From a design standpoint — Hotello is a clean and crisp theme using concise typography to emphasize pleasant user-experience. This theme is ideal for small-scale cottages and just as great for medium-sized hotel owners. The depth at which you can explain your hotel details is unmatched. Without a doubt, the most important thing about hotel sites is the booking system. This is essentially your main channel for client acquisition. As a result, we have put in countless hours of work, and coffee, to provide a state of the art bookings management system. New visitors can view rooms, check details and availability, and instantly book their preferred room from your site. You get to keep all the profits. Likewise, Hotell supports different types of discounts and seasonal offers. Clients can also choose between extras like included meals, internet access, and even parking space. Room pages are designed to include available services, critical details, and concise descriptions. Most importantly, add extensive galleries that showcase room design and style. Other notable features include Bootstrap responsive design, Visual Composer functionality, Parallax backgrounds, and AMP-optimized pages for fast performance. If you ever thought that WordPress couldn’t possibly act as a hotel management platform, then the Hotello theme is easily going to change your mind. Travern is a WordPress theme built to support the rapid growth of the travel industry. As platforms move towards more descriptive listings, it’s crucial that your WordPress site can present hotel and room information in full detail. So, you’ll notice that a lot of design attention is being paid to the way that Travern presents details and descriptions. Using clean elements and smooth typography, your customers will instantly notice the pleasant user-experience. Furthermore, Travern is fully customizable using the Customizer dashboard. Let out your creative energy by adjusting and modifying certain elements to reflect your hotel type. In terms of the market that this theme is targeting, we’d say it’s both independent renters and medium-sized hotel businesses. The combination of a gallery framework and room management lets you list an unlimited number of spaces. The clean footer design helps to instill a sense of professionalism. And because there are three different blocks for widgets, you can go all out with adding links, subscription forms, and social media buttons. That’s a lot of flexibility for a free hotel theme. Nevertheless, we welcome themes that go the extra mile towards delivering a one of a kind design experience. Hotelone is a fully responsive and fully customizable WordPress theme for hotels, resorts, and luxury homes. Using a creamy and bright color scheme, the Hotelone theme leaves a long lasting impression on your visitors. And thanks to a carefully crafted customization panel, you can modify virtually anything on this theme without needing to write a single line of code. Hotelone uses a layouts system, which basically means that you can add new pages (for rooms) using pre-designed layouts. And should you find certain elements to be over the top or simply not to your liking — just go inside the theme management panel to add your own graphics and elements. Looking at the demo, it’s clear as day that Hotelone tries to implement certain business elements. For example, you are able to highlight your most prominent hotel features. Whether it’s free breakfast, unlimited internet access, or simply a car services available for guests to be picked up from the airport. Also, there’s a powerful video lightbox widget so that you can showcase what your hotel looks like in real life. It’s not uncommon to book a hotel based on imagery alone, only to find out later that the room looks nothing like in the pictures. As a result, video demonstrations can help new clients to get a definitive feel for your hotel style. VW Themes has reputation for delivering consistent high-quality free themes to the WordPress community. And VW Hotel is not an exception. This modern and extremely powerful hotel theme is everything you’d ever need to digitize your hotel business. Starting from the top, VW Hotel is suitable for hotels, holiday homes, resorts, lodges, and luxurious resorts. This level of variety is beautifully reflected through an extensive customization dashboard. Don’t like a certain element? Just remove it and add something else in its place. The same goes for colors and typography. VW Hotel ensures you can continue modifying the theme appearance beyond its default structure. Something you won’t find on other hotel themes is the addition of a restaurant menu display. Majority of hotels run their own in-house restaurants, but how many themes have you seen that let you add an actual menu? Fortunately, VW Hotel is one of those themes. This addition of a food menu could very well entice unsure customers to finalize their booking. Last but not least, we thought it’d be important to mention that VW Hotel has an industry-level performance optimization. Not only that, all pages are optimized for SEO standards, so you won’t lose out on that all-important search engine traffic. Hotel Resort is a full-fledged WordPress hotel theme encompassing elements like bookings, food options, and other services. As a resort-oriented design, this theme emphasizes the ability to add additional service pages and not just hotel rooms. Resorts are well-known for providing additional services like yoga sessions, massage, spa treatments, and luxurious food choices. So, should your requirements fall under the luxury category; keep a close eye to this theme. The homepage consists of all the major elements you’re going to find in this theme. Namely, custom-built element blocks for displaying services. A beautiful Parallax-based video widget to provide a visually stunning virtual tour of your resort. Furthermore, you can add a colorful Team widget to show the hospitable people behind your resort experience. Writing stories and news announcements can be done using the blog. Blog design can be shown as full-width, with a right sidebar, or with a left sidebar. Widgets include basics like category display and search functionality, but you’re able to add virtually anything to a widgetized area. Hotel Luxury is a charming, lightweight WordPress theme for hotel businesses. It’s structured to meet the requirements of modern and luxurious hotels. And surely, is going to help to highlight the best things about your hotel. Using an intuitive interface, the theme tries to simplify the process of adding new rooms, making reservations, and managing bookings. The more you are in control of managing everything yourself, the less money you’re losing on external taxes and service fees. Room displays in this theme are built around a traditional blog design. As a result, you can take advantage of the new Gutenberg editor and create visually stunning pages for your hotel rooms. Furthermore, Hotel Luxury is integrated with an Events functionality to help you highlight the best happenings both in your hotel and the nearby areas. Hotelica is a responsive WP theme for hotels, resorts, and individuals providing lodges. The versatile nature of Hotelica’s design means its highly adaptable to your needs. Also, mobile-optimized design naturally adapts to different screen sizes without breaking the site appearance. Does your hotel operate additional facilities for guests to enjoy? If the answer is yes, you’ll want to put those up on your website. Thankfully, Hotelica has a dedicated homepage section for adding facility information. Furthermore, spice things up by adding mesmerizing photos of both your hotel and the surrounding area. Hotelica is fully compatible with WordPress Live Customizer. Get an easy to use customization dashboard for modifying page design and appearance. Sidebars can be switched around to different sides to create authentic content presentation experiences. Hoteller is a complex and advanced WordPress hotel theme for hotels, resorts, and apartments. This theme acts more as a dedicated suite for all-things hotel management. Starting from a dedicated bookings system, all the way to booking synchronization. For example, if you list your rooms on sites like Booking.com or Airbnb — Hoteller will synchronize room availability with your WordPress site automatically. Thanks to Elementor integration, you’re able to click and select different types of elements and modify their appearance. This works similarly to the YellowPencil plugin, but Elementor has reputation for being more versatile overall. Also, Hoteller provides an enormous amount of demo pages. Demo pages such as Luxury, City, Mountain, Beach, Cultural, and Apartment-based websites. Upon finalizing their reservation, guests will be able to checkmark a GDRP compliance form. As a result, all your bookings are GDPR compliant and you can avoid getting caught in annoying legal battles. Based on the number of customization options and overall features, we’re quite surprised to see that Albergo is as affordable as advertised. Albergo, a modern and intricated theme, is built to support modern hotels and accommodation businesses. Combining data from hospitality industry studies and previous design experience, the devs from Elated-Themes have managed to craft one unique theme. Right off the bat, you’re given choices for multiple businesses (hotel-related) demo pages. There’s something for luxury lovers, but also for Hostels and Resort-style hotels. And each demo design is specifically crafted to reflect the qualities of said niches. As for bookings — all is done on the site itself. So, you can combine your favorite payment gateways and collect funds directly from a site using the Albergo theme. In total, there are more than 50 shortcodes built around pages, rooms, booking presentations, and galleries. Use the said shortcodes and insert theme inside blog posts, page layouts, and other areas of your WordPress hotel website. Hotel industry is one of the most competitive markets in the world today. And despite this fact, many hotels still operate from old and dysfunctional websites. There’s so much research behind the fact that a good-looking website leads to better conversions. Hotel Luxe is based on the principle of high-quality design with seamless functionality. If you’re the owner of a luxurious hotel, then it’s only fair that your website should look luxurious as well. Providing more than 10 pre-built layouts, with additional 300+ website elements — Hotel Luxe is as luxurious as they get. This theme is going to transform your digital presence into a pleasant experience for both existing and new guests. Demo layouts include luxury hotels, apartments, bread & breakfast accommodations, motels, and even high-end resorts. And each design uses a completely unique combination of elements and site structure. The core features that lie behind each design is a sophisticated bookings system, which also includes the management of rooms and discount codes. Taking care of bookings from your site directly helps to alleviate some of the stresses associated with external booking sites. Are you tired of traditional themes that take forever to customize? The old ways of theme development are dying off, and new concepts such as the ones found in FiveStar are quickly emerging. Of course, we are talking about multi-customization tools like Live Customizer and independent website objects. This diverse and free-for-all approach to WordPress themes puts you in the driver’s seat of creating a site that looks just the way you want. However, that’s not to say that FiveStar isn’t a beautiful theme by default. Because, frankly, it’s a remarkable presentation of modern design and concise development practices. Whether it’s a beautiful hero section you’d like to add, or simply an email subscription form — FiveStar does it all. We’re particularly impressed with the smooth transition between the desktop and mobile versions of this lovely hotel theme. Do you feel like your hotel business follows the latest fashion trends? Have you comfortably located your hotel business nearby a major city and provide a relaxing getaway for your guests? If that’s a resounding yes, then Iver might have something to offer to you. This modern and fashionable hotel theme encompasses the qualities of modern design trends. Helping you every step of the way to create an unforgettable hotel website with an included bookings system. You can select from a full-screen style design or a more traditional approach for your hostel business. Whatever your choice, you can rest assured that the Iver theme utilizes pixel-perfect precision in presenting your photos and typography. Site navigation feels smooth, and one aligned properly, guests can navigate between rooms and other services effortlessly. The Howello theme instills a strong character that’s going to strengthen your digital presence. Designed to meet the needs of holiday homes and resorts alike. New guests are able to instantly check the availability of rooms through a custom bookings widget. You have the option to create a detailed page for explaining the history and vision behind your hotel. Most importantly, room pages are crafted to include as much detail as possible. It’s always safer to have guests know what you can and cannot provide. At the same time, there’s a contact form attached to each page so that curious guests can inquire about specific needs. Design quality leans towards crisp and clean, utilizing smooth design patterns that can be reused in whichever way. MyListing is for all of you who manage multiple properties and other types of services. Unlike a standalone hotel theme, the MyListing system provides the means to replicate the functionality of sites like Airbnb. You could, essentially, create a competitive site to Airbnb and let others submit their properties to your site. In other words, MyListing acts as a directory and listings themes for WordPress-based sites. And since this theme is fully compatible with Elementor — there’s nothing you cannot move around or customize. Overall, we feel this is a good alternative to explore depending on the number of properties you manage. MyListing has a versatile design foundation, and with the right attitude, you can make this theme do exceptional stuff. 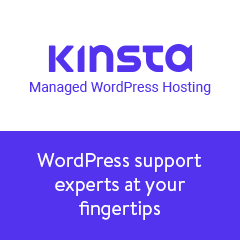 Do you wish to use your WordPress site as a full-on management system for all your hotel needs? While WordPress itself cannot provide this functionality, a theme such as Hotel Calluna most definitely can. Using the WP Hotelier addon — Calluna theme achieves a phenomenal user-experience for all hotel, resort, and other accomodation owners. The addon enables some interesting features like reservation management. For example, guests can instantly book rooms or you can prevent instant bookings. Instead, guests will have to wait for you to approve their requests. All logs are saved for a historical overview whenever you need it. Likewise, with Hotel Calluna you can request for guests to make an initial deposit upon booking. The payment gateways of choice are either credit cards or external solutions such as PayPal. Hillter boasts an enticing design fluidity that’s going to leave your guests easily impressed. Whether you run a hotel, a villa, or a resort — Hillter has the chops to help you out. Starting with an eye-captivating Header section, your guests are quickly introduced to everything your hotel has to offer. An advanced bookings form is going to help with on-boarding guests for a room appropriate to their liking. Along the way, you can save development costs thanks to added Visual Composer functionality. Simply restructure pages using pre-built elements. Likewise, select a specific element and customize its appearance, colors, etc. If you’re looking for something sturdy and reliable, then this is a theme worth exploring.